Explore Milgard Quiet Line windows reviews, prices, ratings, and warranty information on this pricey, but very effective, soundproof window. The Quiet Line is considered the Cadillac of soundproof windows. It's almost like buying two windows in one, each window is double glazed and has an sound panel in between the two exterior window panes that actually looks like a window inside a window. However, the entire unit is built as one, which creates two air gaps that are essential for deadening exterior sound from entering through the window. While a normal double pane window has an STC rating around 30, the Milgard Quietline typically has an STC window rating of 46. Of course, this sound control window has a big bulky frame, strong corner welds and high quality seals and glazing that all work together to stop urban noises from entering the home. The bottom line is that this is an expensive window that will do a fantastic job of eliminating exterior noise - if you afford the price tag. The Milgard Quiet Line window costs a pretty penny to be sure - expect to pay something like $80 to $100 for the window itself. For a lower cost alternative, check out the Amsco Serenity Series and the Indow Windows Acoustic option. The Quiet Line 7120 Series horizontal slider will have an air infiltration rating of .02, which is bascially close to perfect. 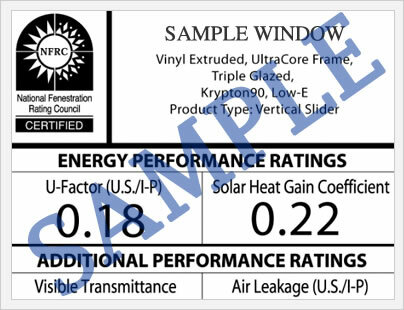 With the LoE 172 glass (SunCoat glass package), consumers can expect a 0.23 U-factor, 0.27 SHGC and a 46 STC window rating. In general, the Milgard Quiet Line Series will offer excellent performance ratings that will be most affected by the glass package you opt for and purchase. The Milgard Quiet Line offers a Limited Lifetime Warranty on all of their windows (and doors) to the original purchaser. This covers the mainframe and sill and all components and warrants that they are free from manufacturing defects and workmanship. 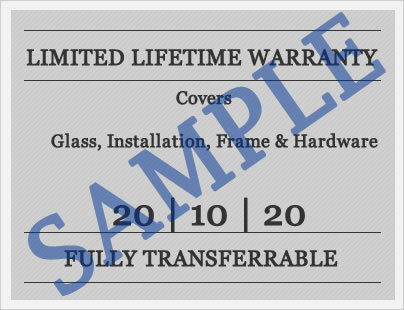 It covers both parts and labor costs and is transferrable to another owner, although the new owner warranty is only good for 10 years from the original date of purchase. As with all replacement and new construction window warranties, there are a number of exclusions that apply to their products that consumers should read in full prior to purchase. Do you have a question about the Milgard Quiet Line? Our industry professionals can help you get more information on pricing, upgrades, installation requirements, contractor cost bids, as well as help you sort through the quotes and companies you are considering for your next window replacement project. Want to add your Milgard Quiet Line windows reviews? Post it here and help other consumers get the information they need to make the right choice for their home.